Henry comes from a long line of fishermen. And by long line, I mean Nick, my dad and Henry's Grandpa. Sorta a long line, right? 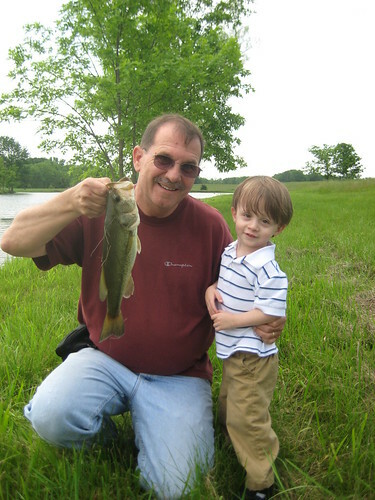 Anyway, the moment Henry was born his grandpa and papaw started telling him about fishing. 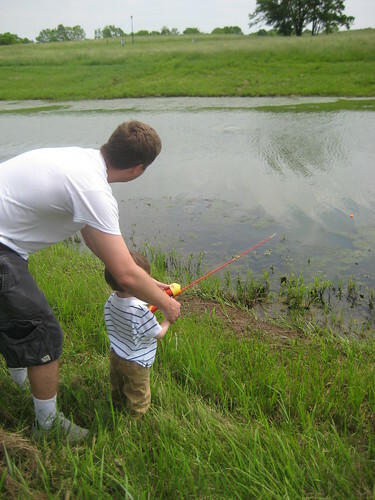 Well, this weekend it was finally time to take the boy out to try his hand with a rod and reel. 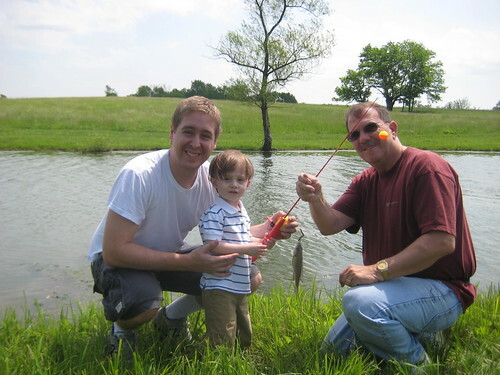 Grandpa, Nick, me and Henry packed up and headed to a little pond that promised to have lots of good fish. Someone was very excited. 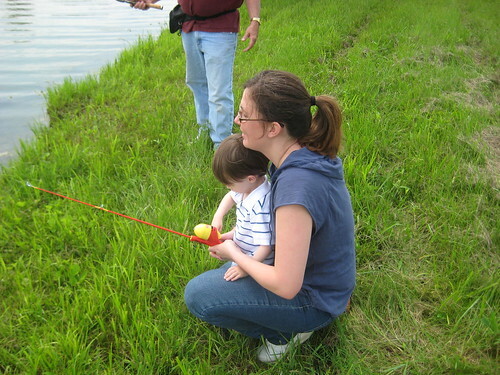 Check out our little fisherman! We actually caught a lot of fish. A LOT. 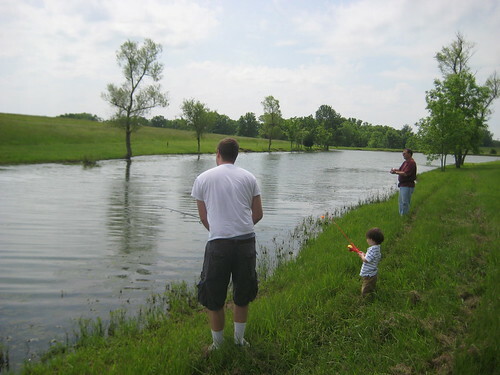 It was that best kind of fishing trip where every time you throw out your line in the water you bring in another fish. We were there for about an hour and I would say between the four of us we caught around twenty fish. I think we have created another lifelong fisherman. He loved every second of it. **Welcome ICLW readers! Thanks so much for coming by. If you are curious about our TTC history, you can read all about it here! It looks like y'all had a wonderful time! It's funny but I can handle the blood and guts of being a paramedic but putting worms on the hook made me squeamish. It looks like you guys had a great time. 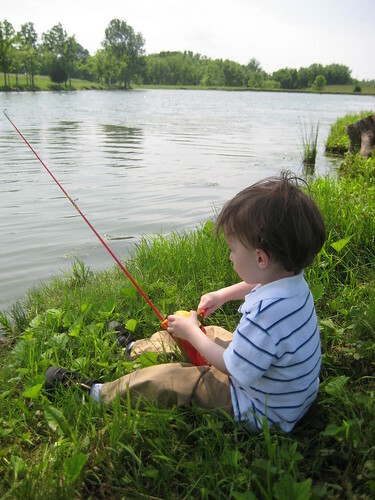 We may have to give fishing a try with our toddler, although he doesn't come from a long line of fishermen so it may be a much less picturesque and peaceful experience for us. It looks like a great time? 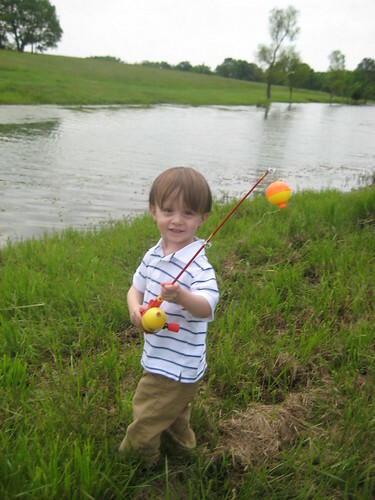 He looks super cute with his fishing pole. I'm stopping by from ICLW. Fishing is fun, but I'm not a fan of the whole waiting thing. I'd rather be swimming, which doesn't involve too much waiting. Here for ICLW. These are gorgeous pictures. 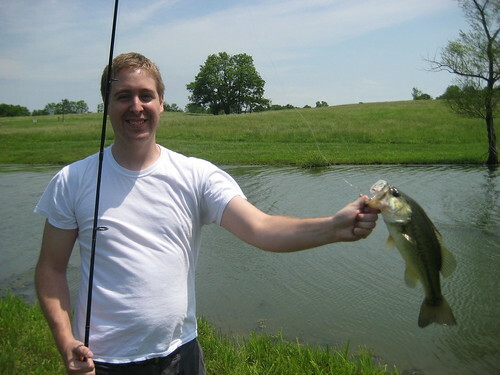 He is so cute and so serious in that last one (holding the fishing pole). These pics brightened up my day.